New Orleans-based photographer Stephen Young has arranged a day of exploring his city, Paula-style. and take you to your bed-and-breakfast in the Garden District. 2 nights at The Chimes Bed-and-Breakfast are included in this package. All the guest rooms are tucked away in a private courtyard and The Chimes is just a few blocks walk to the St. Charles Avenue Streetcar. We'll be having lunch with Chef Alon Shaya at his eponymous restaurant on Magazine Street. Chef Alon has received this year's James Beard Award for "Best Chef: South. He is the chef and co-owner of the New Orleans restaurants Domenica, Pizza Domenica, and the recently opened Shaya which is devoted to the cooking of his native Israel. 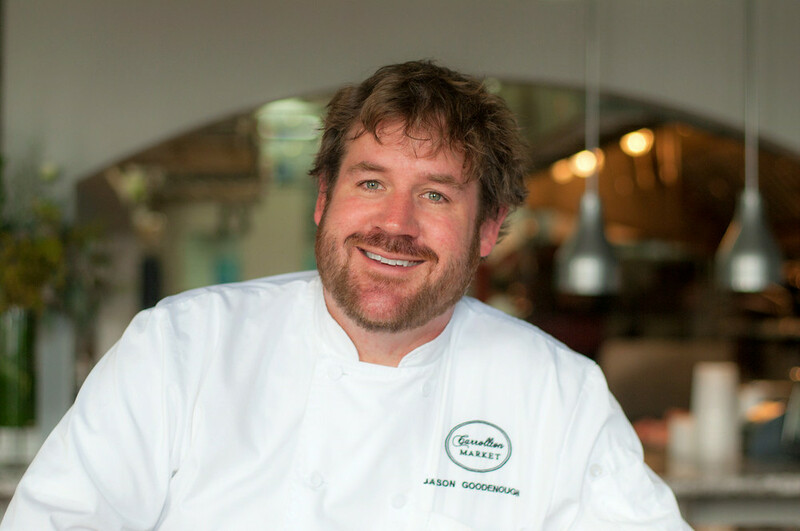 After a full day around the city, Chef Jason Goodenough of Carrollton Market is looking forward to welcoming us to the dining counter overlooking his kitchen at Carrollton Market. Chef Jason and his crew recently traveled to NYC at the invitation of the James Beard Foundation to prepare dinner - New Orleans - style at the James Beard House. We will definitely be eating well during your Unforgettable Day. Stephen is honored to know well the ins and outs of every Louisiana State Museum as well as the owners of dozens of art galleries. We can go behind the scenes in many of these locations. Zydeco dancing (think handsome cowboy courting a beautiful, and sassy Cajun girl) in a bowling alley/bar/dance hall. Free beer for an hour most every Friday afternoon at the only brewery in the city. I would love to introduce a stylish woman - or a man who loves a beautiful lady - to my clothing designer friend Kate at her 3-story historic atelier where she creates chic wearable art. Oh, and there's the Quarter. That's at least a day - but there's so much more to experience. We should certainly imbibe with JoAnn in her pub where she packed a .38 and a shotgun or two in the days after the Storm (Hurricane Katrina) so she could take care of her people and the visitors who came for friendship and the only ice-cold beer in town. You could have your future told - and a VERY accurate account of your present and past by Sally Ann or Velvet, two of my favorite extrasensory visionaries. ** Travel is not included in the package. But everything else is.